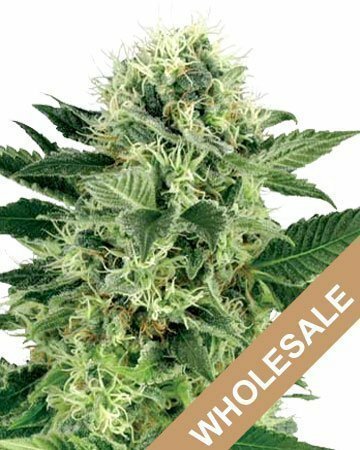 There are wholesale cannabis seeds, and then there are wholesale auto-flowering cannabis seeds from Growers Choice. With the fantastic benefits and savings that come with ordering from us, why would you ever look further afield for premium seeds to stock your dispensary, garden center, or nursery? 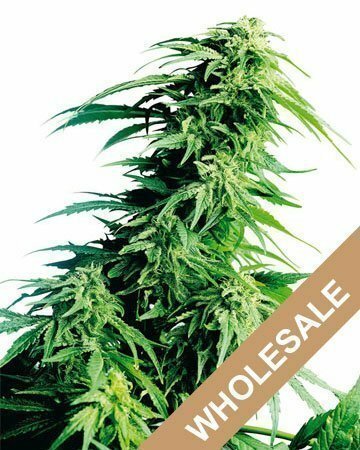 Why Buy Wholesale Auto-flowering Cannabis Seeds? Who doesn’t love seeds that are quick to harvest and easy to maintain? 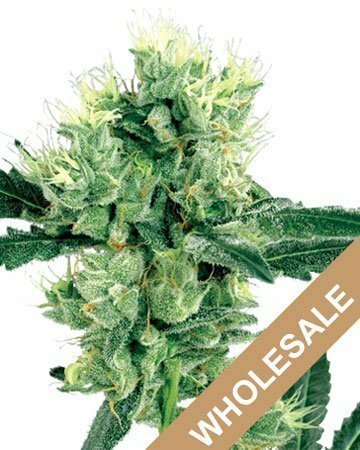 When you buy wholesale auto-flowering cannabis seeds, you’re helping your customer log in even more harvests per year. It’s a win-win for everyone. And with seeds that come with a 90% germination guarantee, both you and your customers are getting the most for their money. 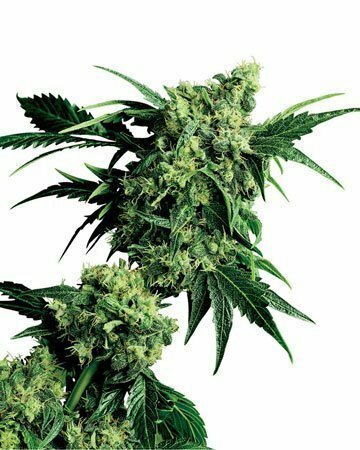 So when you order bulk cannabis seeds, don’t forget to include auto-flowering varieties for those customers who want the reward of a fast yield. These plants typically grow at a faster rate, taking as little as two months to harvest. And for your shoppers who might be new to growing their own marijuana, auto-flowering seeds flower as they age, no matter what. 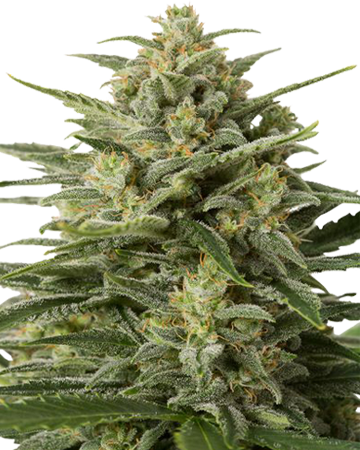 An incredible germination guarantee that promises replacement marijuana seeds when any fewer than 90% germinate isn’t the only great benefit you claim when you purchase auto-flowering wholesale cannabis seeds from Growers Choice. Helpful growing tips and tricks in our detailed Grow Advice section. Our fun and informative blog! Here at Growers Choice we know how important it is to provide your customers with all of the details they need to know to make an informed decision about the seeds they’re buying. That’s why we’ve made sure that each strain description includes the characteristics, medical benefits and grow information that your clients want to know. 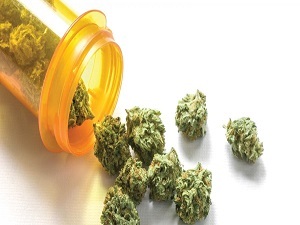 And to make sure your customers aren’t left in the dark, you’ll also have access to pamphlets about each strain that you can keep in your store. Give your customers the best seeds in the industry with Growers Choice. 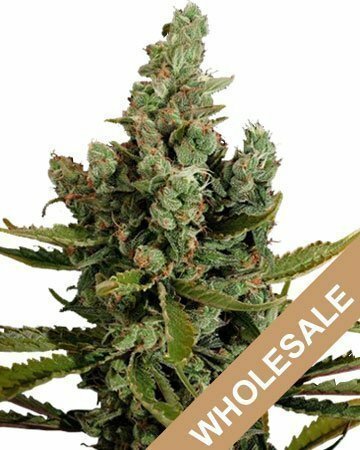 Perfectly legal for purchase and sale in North America, wholesale auto-flowering pot seeds are quickly becoming some of the most sought-after marijuana products on the market. Certainly, there are plenty of medical and recreational cannabis users who seek pre-grown, dried cannabis flowers or buds they can quickly and easily add to foods, joints, and vaporizers, but there is also a healthy demographic who prefer to grow their own seeds. When you, a trustworthy provider, present your customers with our tested, premium cannabis seeds – backed by an outstanding 90% germination guarantee – your loyal clients will immediately recognize the quality and reliability of your newest product. Thanks to our fantastic customer service, access to assistance and guidance will always be at their fingertips, whether they reach out to you, or contact us directly. If you or your staff have any questions regarding our seeds, we’re just as happy to help. At Grower’s Choice, our strains of wholesale auto-flowering cannabis seeds aren’t just for recreational use. We have a variety of seeds that also treat medical issues, such as chronic pain, insomnia, anxiety, stress and depression. For your customers who are living with pain and discomfort, it’s even more important to buy bulk cannabis seeds that harvest quickly with a generous yield. We offer auto-flowering seeds in strains like the ever-popular Gorilla Glue, which can help relieve stress and depression, and Kush XL — a strain that can help ease pain and anxiety. While not all of our wholesale auto-flowering cannabis seeds are the right fit for medical use, we’ve got easy-to-grow, easy-to-flower strains that will please your medical marijuana customers. When you’re ordering wholesale auto-flowering cannabis seeds, you want to make sure you’re only getting the best. At Grower’s Choice, our seeds are hand-selected and lab-tested. They’re also genetically-guaranteed, so your customers are always getting exactly what they want, and nothing they don’t. And the attention to detail doesn’t stop there. We also package our seeds for optimal freshness and viability. Not only do you get the best quality from Grower’s Choice, but you also get an impressive discount when you buy bulk cannabis seeds. You can save as much as 70% on the retail price when you order from us, but that’s not all you get. We’re here for you and your customers every step of the way. Our library of gardening information is available to you at all times, complete with a germination guide and grow advice, to help your customers get the most out of their plants. 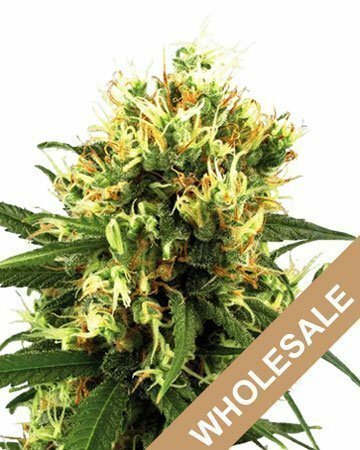 We offer amazing discounts on wholesale purchases, and you can save up to 70% off the retail price by ordering shipments of 500, 1000, or 2000 cannabis seeds, directly from our website. Not only does this save you a bundle, but it’s such an impressive discount, you might even be inclined to pass it along to your customers. 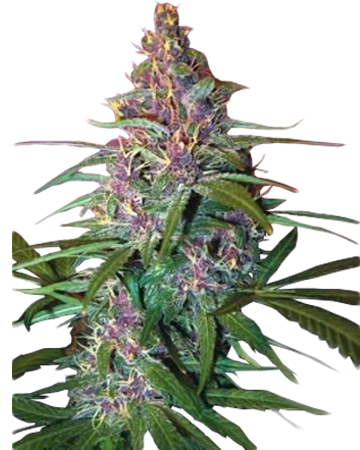 Offer premium auto-flowering cannabis seeds at affordable prices, without hurting your overhead, and you’ll be met with some very happy clients! We can help you with your online business! If you’ve just recently begun offering products online or fine-tuning your website to draw more traffic to your store, we’d love to give you a hand. We can offer expert SEO advice and assistance, as well as social media and website development. We believe in taking our partnerships far beyond the simple product-for-money model! If you’re already well-positioned in the online world and don’t need our help in that regard, let’s talk about how we can cross-promote through social media! We’ve mentioned our 90% Germination Guarantee, but we didn’t tell you how very easy and reliable it is! Because we know you and your customers have placed a considerable investment into cannabis seeds, we supply you with an easy-to-follow germination guide – the best method our experts have found to ensure all your viable cannabis seeds germinate.That said, we simply can’t promise every single seed will sprout, so if fewer than 90 percent (or less than 9 out of 10) seeds end up germinating, we will send replacements to you, completely free of charge! The seeds you order from Growers Choice come complete with a generous helping of medical-grade glass vials, which ensure your seeds remain fresh and uncompromised until your customer is ready to plant. Of course, you also get our custom plastic packs and informative inserts for each type of seeds you purchase. We won’t leave you hanging when you order from us. Along with the items mentioned above, we will also send you a great selection of promotional materials to help you draw customers’ attention to your exciting new product. Rather not introduce a new brand into your store? We offer white label services so you can put your own brand on our seeds! You still get our premium cannabis seeds and medical grade glass vials, but you keep your branding continuous throughout the store! 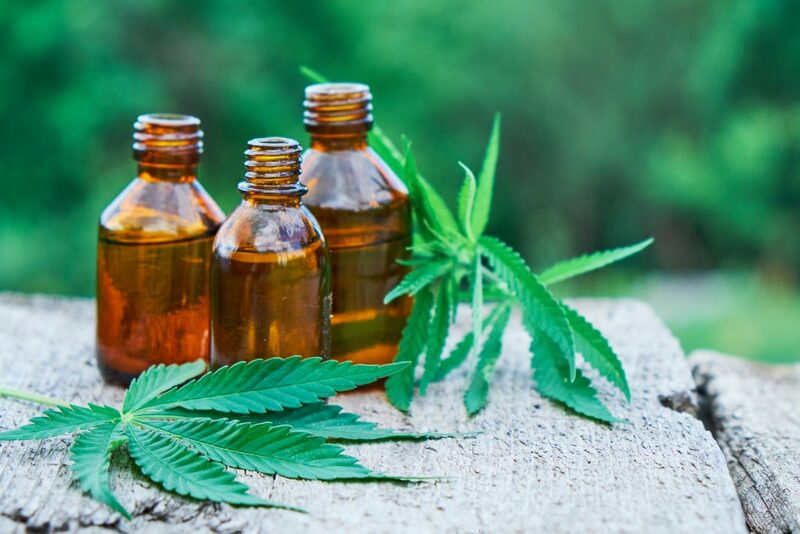 Our auto-flowering cannabis seeds are shipped in medical-grade glass vials to ensure optimal freshness. 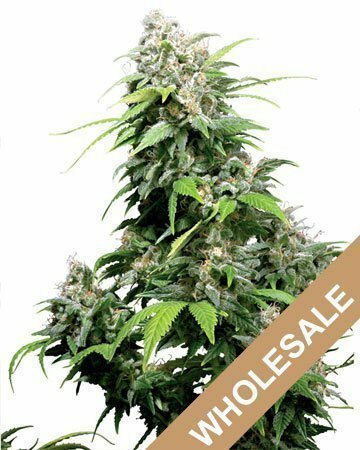 Buying wholesale auto-flowering cannabis seeds is easy — once your customers decide the kind they want, anyway. The next steps are where it gets tricky. Luckily, your customers simply need to pop onto their computer at home to find all the help they need! There are tons of good resources, but our website is full of useful tips and tricks for really making the most of a marijuana grow. Don’t hesitate to send them to our Grow Advice section if they’re looking for a bit of guidance! We recommend printing out our handy germination guide to help your customers get the most from their seeds. From there, you can find information that you can give your clients about preserving their cannabis seeds, growing their plants, along with curing and drying their harvest. At Growers Choice, we’re here for you and your customers, every step of the way. That’s just a part of our commitment to you as your wholesale partner. So whether your customers are new to growing their own marijuana or expert gardeners — we have a whole library of resources that can be helpful at any stage of the growing process, regardless of experience level. That way you can focus on running your business and leave the technical questions to us. Growers Choice takes great pride in its products, and in its customers! Whether you’re buying 3 weed seeds for your personal grow room or garden, want to present a new cannabis seed line to clients at your dispensary or garden center, or are seeking new strains for your medical cannabis nursery – we’re here for you! Reach out with your questions through our support email, or check out our amazing selection of 100% feminized, auto-flowering wholesale cannabis seeds, listed below! Our customers buy autos and regular about 50/50, but we’re happy to keep offering the autos because when we are sold out, people get a bit huffy – they like their autos! Specifically, they like the autos from Growers Choice. So, that’s all I need to know.